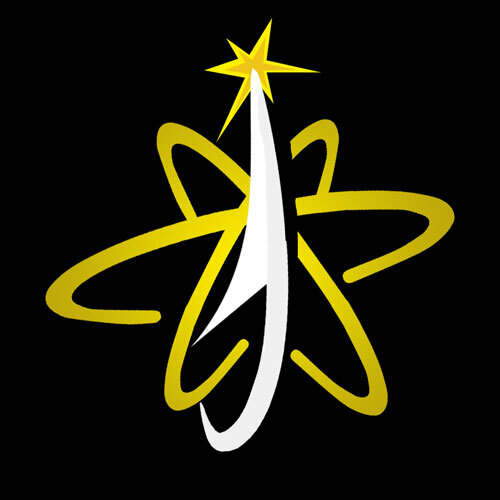 SPACEFISH IS AWESOME GET IN ON THIS! 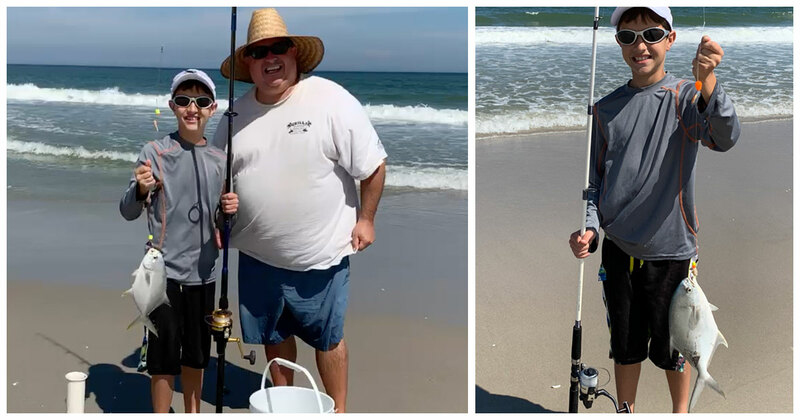 We went to Ponce de Leon in Melbourne Beach for a little surf fishing on Friday afternoon. The winds were picking up but I figured there was still opportunity to catch some fish. Apparently, I figured wrong. We had live fleas and shrimp and Fishbites. There were some bait thieves, but no significant bites beyond an occasional nibble. 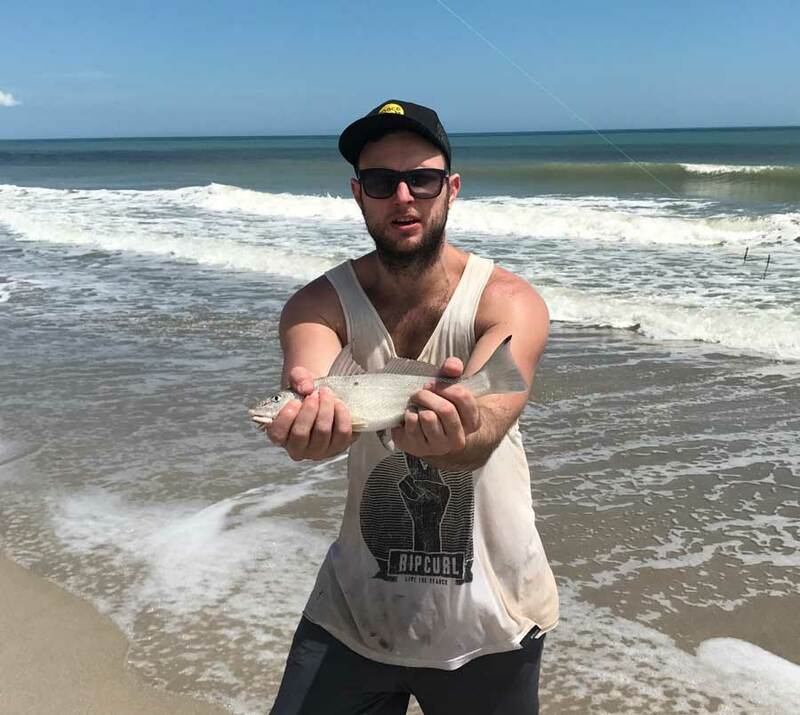 Other anglers were walking the beach, tossing artificials without any luck, either. The water got weedier over time, and by around 5pm, it was thick enough to send us home without any fish. Hopefully there will be better luck next time! 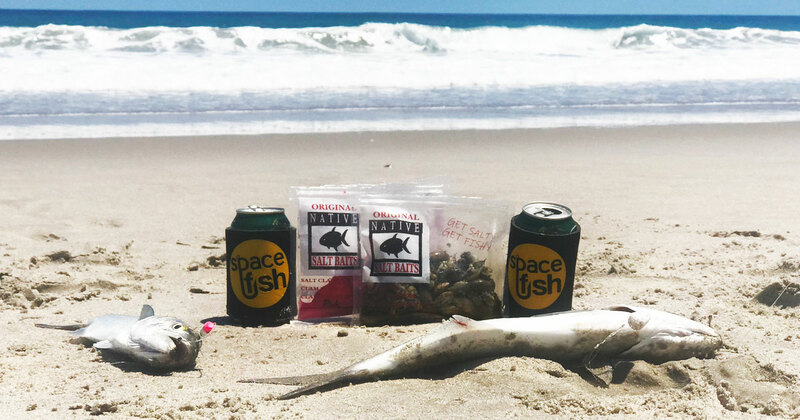 In honor of Snook Season starting back up, Mount This Fish Co. has offered Spacefish readers an exclusive — and unbeatable — deal. While supplies last, you can get a Full Mount 44″ Replica for only $275. That’s just about half the retail price of $528! 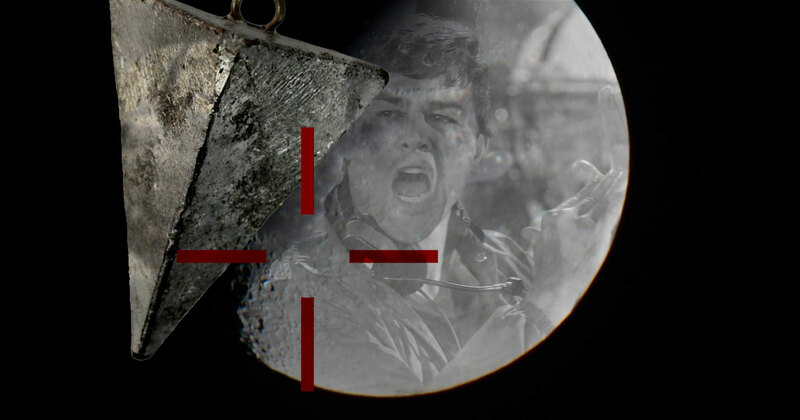 Odds are, you’ve probably already heard everything there is to know about the Man Eating Wolf Moon because it’s been all over the headlines in newspapers and on the internet. BUT, what you may not know is that this blood lusting celestial event coincides with the season’s PEAK period of fish activity, as projected by the solunar forecast. 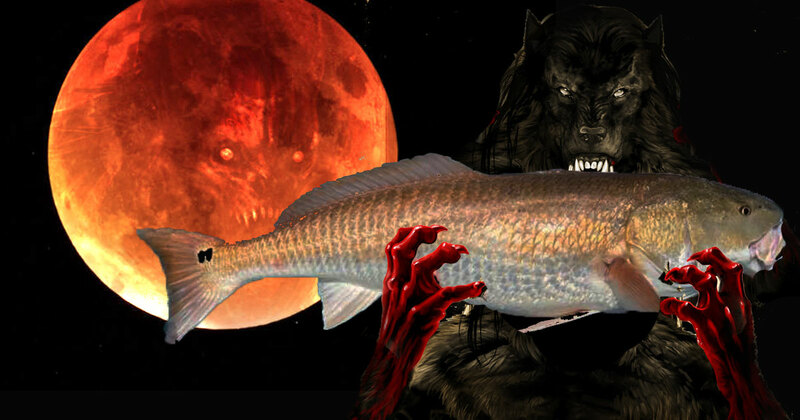 Sunday is projected to be great for fish activity, but the true peak begins almost precisely upon the end of the Blood Thirsty Super Wolf’s eclipse. Everybody that went out surf fishing on Saturday just crushed it. 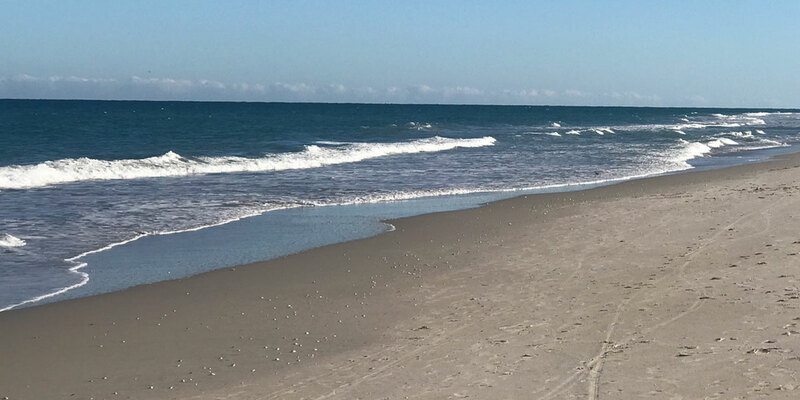 After hearing all the stories and great reports, including trophy permits and pompano limits, I decided to make the ultimate sacrifice on Sunday afternoon: I turned off the Chargers/Ravens playoff game and headed to the beach. Unfortunately, it seems the fish got all their eating in the day before, because it was pretty dead out there. Spacefish’s weekly spot on the radio with the Mark Moses Show! Spacefish checks in with the Mark Moses Show on Sports Radio 1960AM THE FAN to talk some Space Coast fishing! 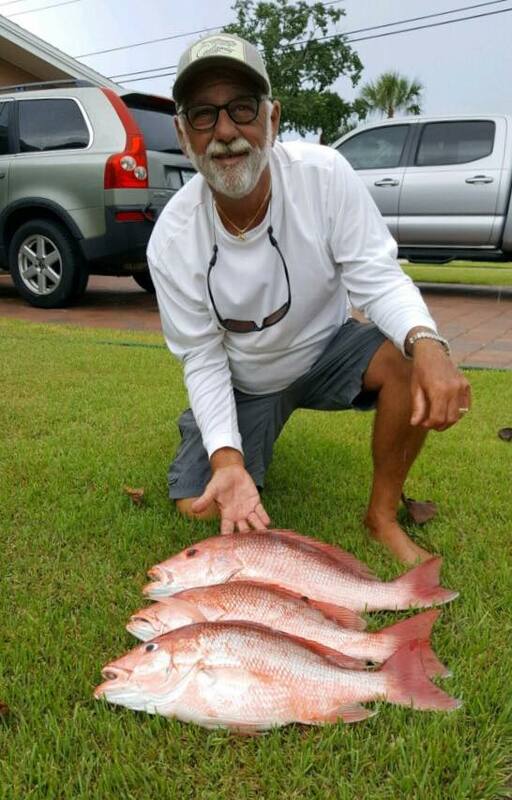 Friend of Spacefish, John Durkee, got himself some red snapper on opening weekend of the 2018 season. 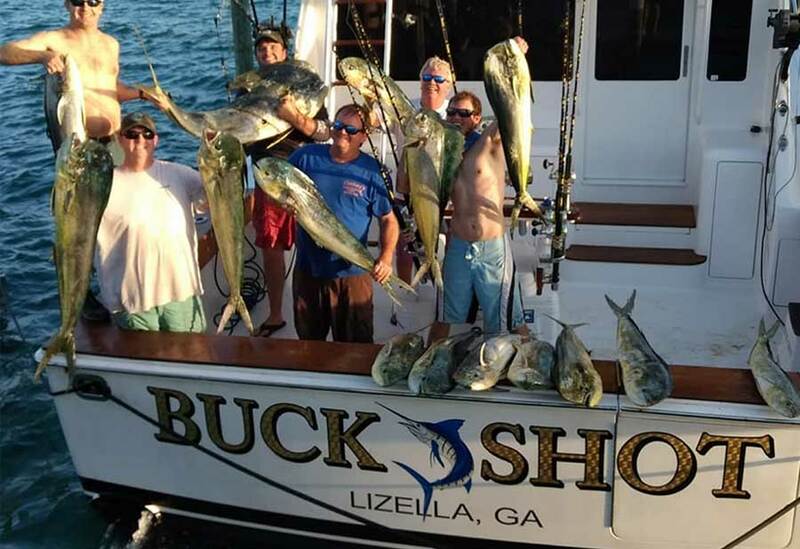 Fired Up Charters has a big day offshore out of Port Canaveral! 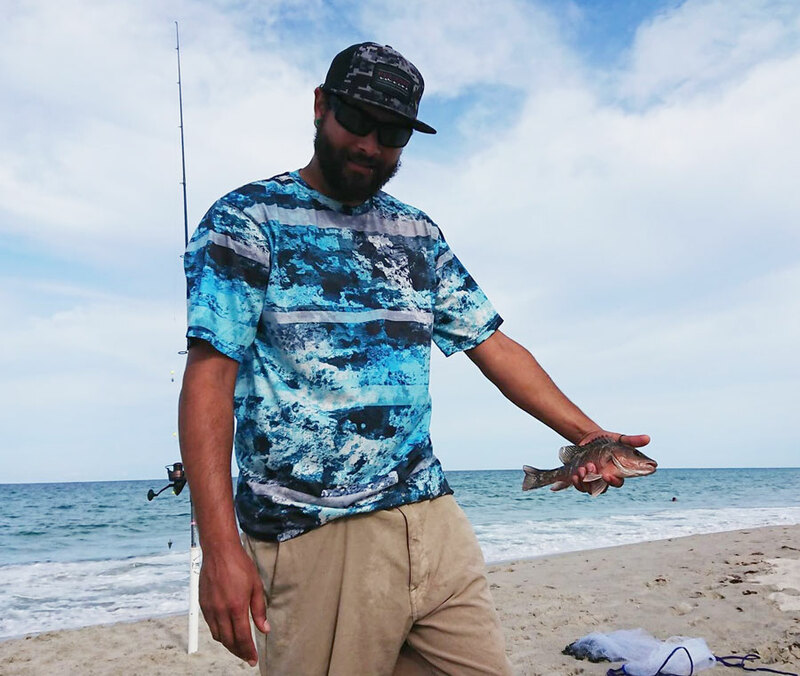 Kyle McConnie got a few mangrove snappers in the surf at Magellan in Satellite Beach. 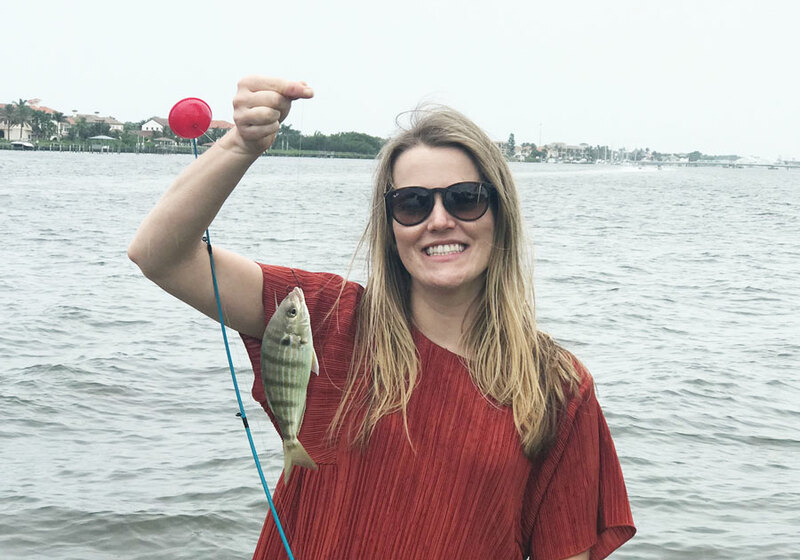 Jess caught this pinfish in the Banana River Lagoon — perfect bait for a hungry snook! 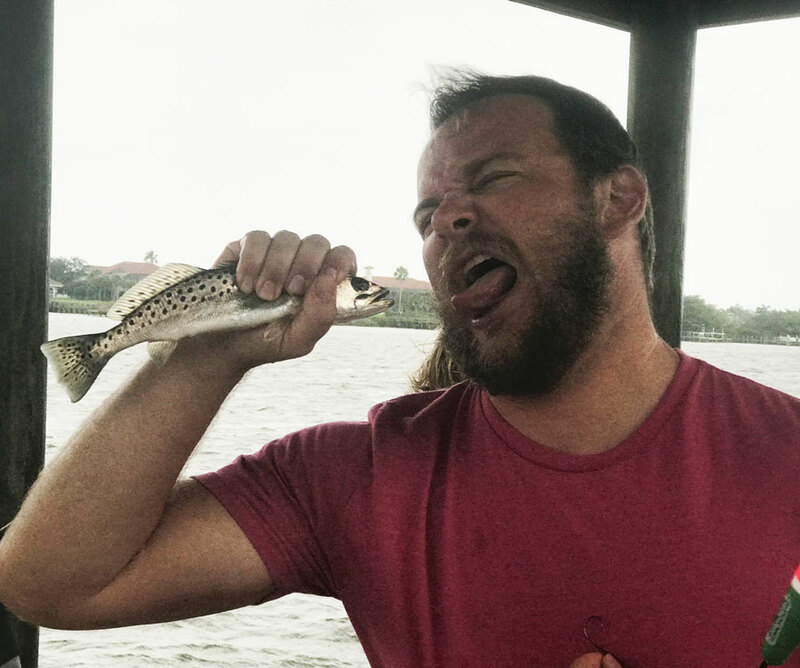 Matt admires the spotted seatrout he caught in the Banana River Lagoon. 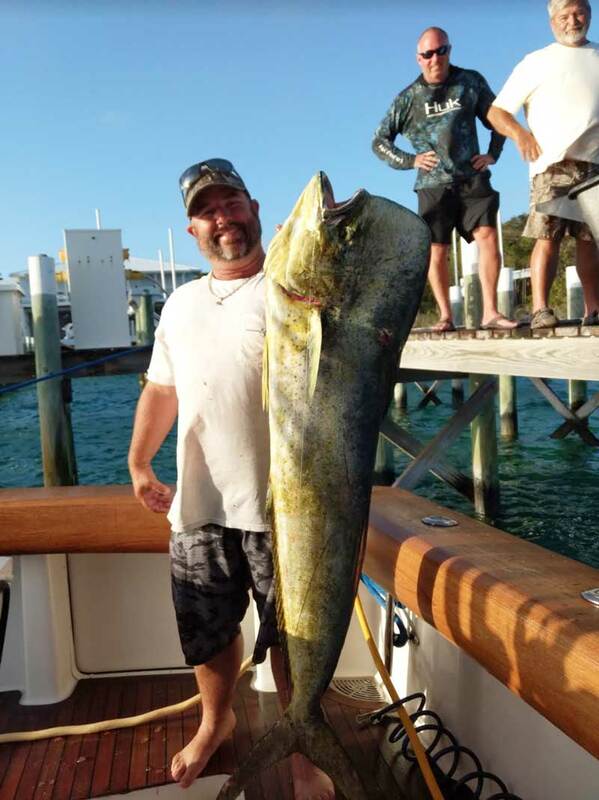 Another big fish caught on Capt. 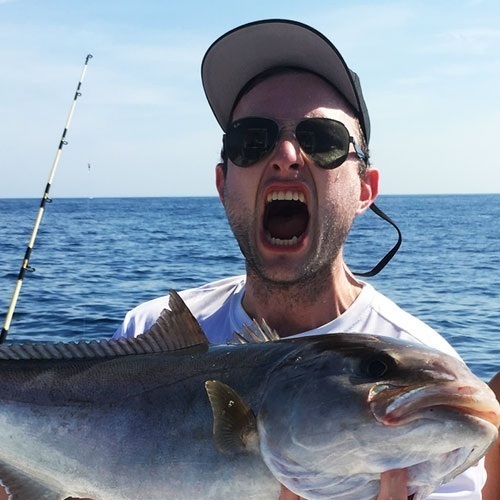 Brent Mead’s fishing trip to the Bahamas! 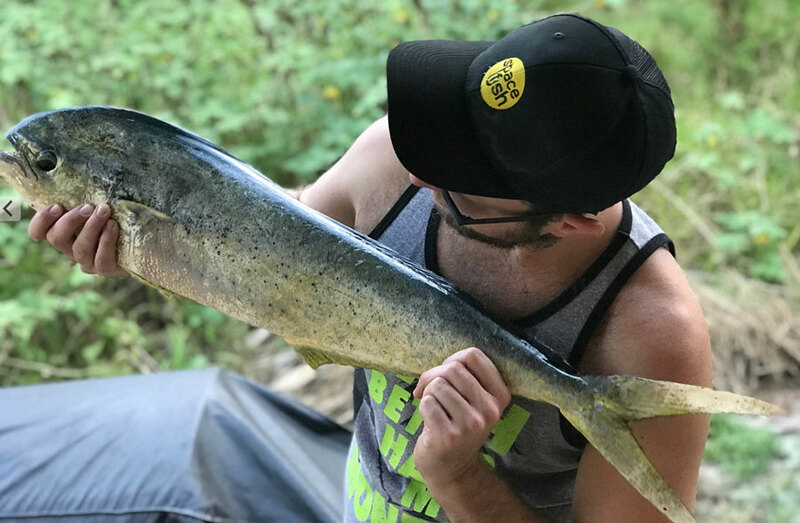 Bahama Mahi Bite On Fire! The fishing has been on fire over here in the Bahamas last week! We’re catching lots of marlin and mahis! Dang, I was the only Monster Squad member to NOT personally reel in a shark this day, but HEY, it’s a team effort, right? 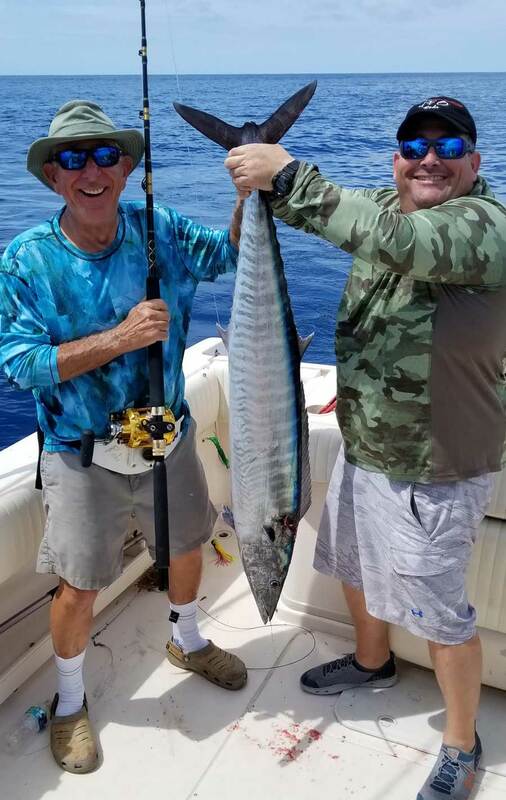 Allan and his brother, Ray, with a 31 lb pound Wahoo they caught yesterday off Port Canaveral.